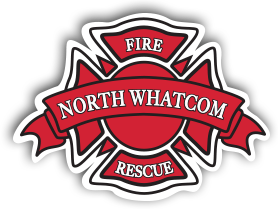 North Whatcom Fire and Rescue will host a community meet and greet to welcome new Division Chief / Fire Marshal Herschel Rostov. The open house style event will take place at Odell Station 61, 9408 Odell St., Blaine, WA from 6:00-8:00 p.m. on Monday, April 29. Get the chance to meet the new division chief / fire marshal and welcome him and his family to Whatcom County. Chief Rostov brings both fire marshal experience and a remarkable level of professionalism to North Whatcom Fire and Rescue. For additional information, call (360) 318-9933. 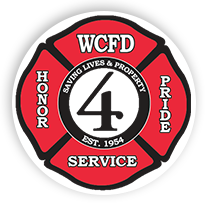 North Whatcom Fire and Rescue is seeking qualified candidates for the position of Entry Level Firefighter. The ideal candidate will have a valid CPAT, valid EMT-B (WA state or NREMT), Firefighter 1, Hazmat Ops, WA state driver’s license and be 21 years of age. Salary starts at $4493/month (0-6 months) and adjusts to $5015/month (7-12 months) for the first year of service. Public Safety Testing will conduct the initial testing of our candidates, please visit their website at www.publicsafetytesting.com to complete your application online and select the testing date and/or location most convenient for you. Testing must be completed by April 30th, 2019.